Barbara Verneus is the founder of Tiny & Brave Holistic Services based in Austin, Texas. She holds a Graduate certificate from Boston University in Maternal and Infant Care in Public Health and a Master’s in Counseling with a concentration in Marriage and Family. Barbara is a student midwife, blogger, maternal life coach, and single mother of one. Barbara has been a trained Birth Companion (doula) since 2004 and is the the recipient of our Maternal Health Micro Grant. She will be using the funds to provide a person of color who resides in Austin with doula services at a reduced price. What drove you to pursue a career in the field of maternal health? To be honest a movie brought me to the path. The movie was called Losing Isaiah, starring Halle Berry and Jessica Lange. From there, a few days later during my time in community college I met a woman who was in a nursing program who was studying to become a midwife. I never heard of a midwife until I met her but she planted the seed. To this day, I can’t remember her name but if I could, I would say thank you. In 2006, you went overseas with the African Birth Collective to Senegal, West Africa, assisting midwives in labor and delivery—can you tell us more about that experience? It was an amazing experience where I assisted midwives in two different birth centers which were completely different worlds. But I learned so much about myself and my vision. It was there that I confirmed I wanted to do birth both in the States as well as overseas. I want to help maternal and infant mortality in the homeland of my parents which is Haiti/Hisponal. Senegal was also the place I experienced my first infant death. For some reason, even through that traumatizing experience, it propelled me more towards becoming a midwife. You’ve conducted workshops at Juneteenth Health Summit (Austin, Texas), Yoni Poppin-Bellies Edition (Miami, Florida) and Decolonize Birth (Brooklyn, New York) and even facilitated the first Black Breastfeeding gathering in Dallas, Texas in 2016. Do you hope to continue to make workshops and public speaking a part of your work? I hope to continue to do more workshop. Recently, I curated an event led by Sister Divine who taught about Grandma's Hands, a 1 Day Intensive Workshop in Austin, Texas. In October, I conducted a workshop in Louisiana where I spoke on motherhood, entrepreneurship, and depression at the Black Birth Matters Conference. I am a strong advocate in being an instrument of healing to women, mothers and mothers-to-be who have experienced trauma; while inspiring more Black and Brown women to enter the birth work field. I am also an advocate and activist on the issue of the infant and maternal disparities happening within Black communities. When I become a midwife I desire to serve those of the African-diaspora in the urban community and overseas in Haiti. Can you speak on racial disparities within midwifery and death rates amongst black mothers and infants in America? With 15,000 accounted midwives, only 2% are black. On top of that, black babies are 3-4 times more likely to die in comparison to white babies. Also, Haiti has a high maternal and infant morbidity and mortality rate and a lack of professionally trained midwives. Yet midwives are in short supply in many developing countries. And the deficits are highest in the areas where needs are the greatest. Currently, there is only one midwifery education program in all of Haiti. Haiti has never had enough midwives to meet the needs of the population. After the earthquake of 2010, the gap widened. An estimated 303,000 women and about 3 million newborn babies died in Haiti in 2015 alone. The vast majority lost their lives to complications and illnesses that could have been prevented with proper prenatal and delivery care—services provided by midwives. 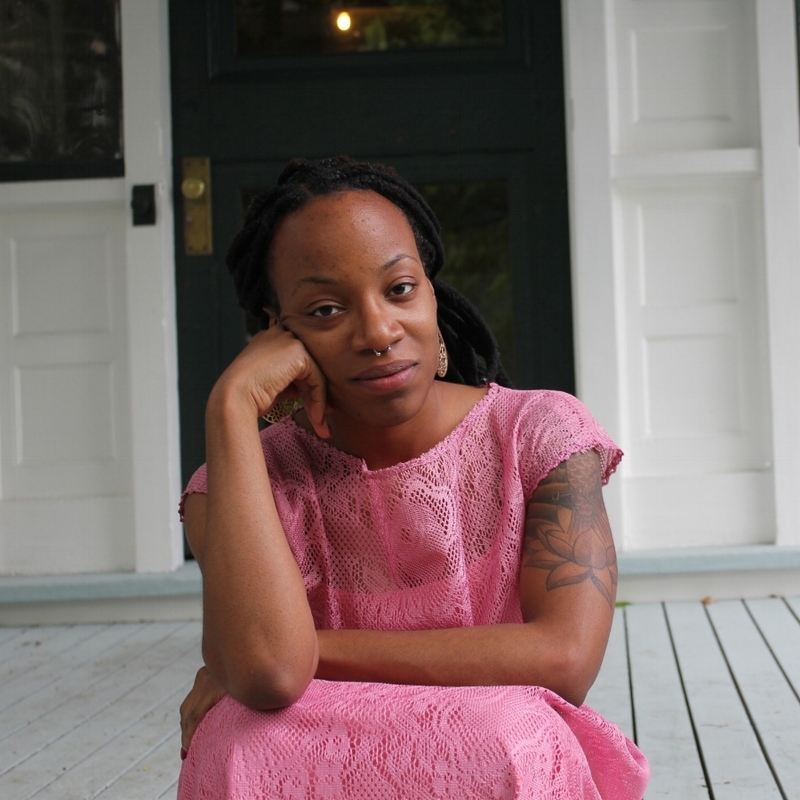 A lot of women in the black community are unable to have a doula at their birth due to cost. 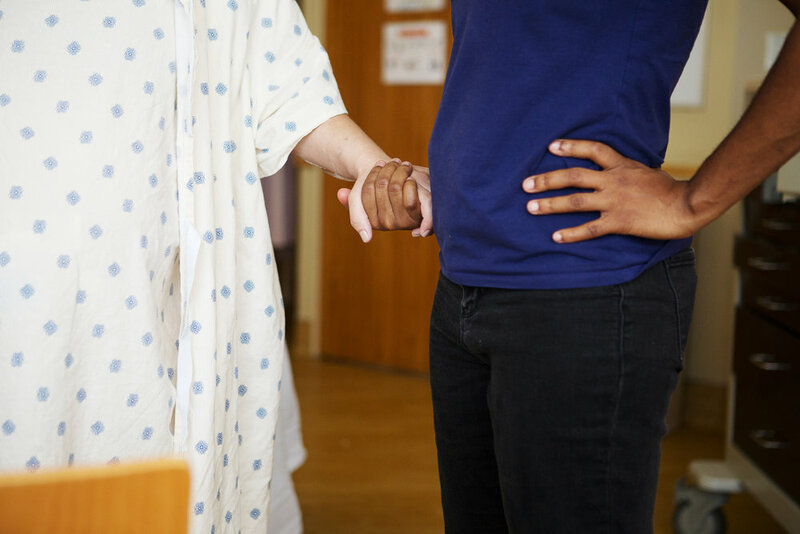 With a black mom having a doula it will help decrease the use of pitocin, c-section, medication, and the chances of her newborn being admitted to a special care nursery. Doula services support successful breastfeeding. Doula services save lives. There needs to be more opportunities for women of color to gain more support in the birth world as the consumer and as the provider. In what ways has motherhood changed your approach to your work? Motherhood is what my work is centered around. My daughter is my number one fan. How can we demand for our children to live their best lives and pursue their dreams if we ourselves are not doing that? Our children are watching us everyday and I do not want to live a life where my daughter witnesses me unfulfilled, like I did with my parents. It was when I became pregnant I propelled myself to complete my master’s degree and pack up and move to Texas. I did this without any family and friends. It is as if God is physically with me everyday holding me accountable and in turn I revere my daughter’s holy innocence to live her wildest dreams as she goes through this thing called life. I want her to know there are no barriers without a solution. What’s next for Tiny & Brave Holistic Services? Finding a new apprenticeship/preceptor to learn from and see where that takes me next. Most likely moving again which is the beauty and barrier of becoming a professional certified midwife through the Portfolio Evaluation Process (PEP) route. This path has shown me so much about myself-sanctifying; and I have met so many amazing people doing tremendous work. But it also can be very discouraging as a single mother who faces racial and financial barriers which is the very thing I’m fighting against. I meet people who are still in disbelief that black women’s lives are at the helm of life or death when giving birth here in the United States and that the black family is specifically being targeted. So for the remaining of this year and into 2019, my focus is to finish my studies so I can help to break down the discrimination in the midst of becoming a black midwife and the attack on the black body and family as a whole. I will be conducting workshops and events in Austin, TX, collaborating with Doula Training International while also continuing to document my journey of becoming a midwife through my social media platforms and videos, all while still providing doula services here in Austin, TX, and the surrounding areas. And please consider donating to Barbara’s work and follow her on Instagram.